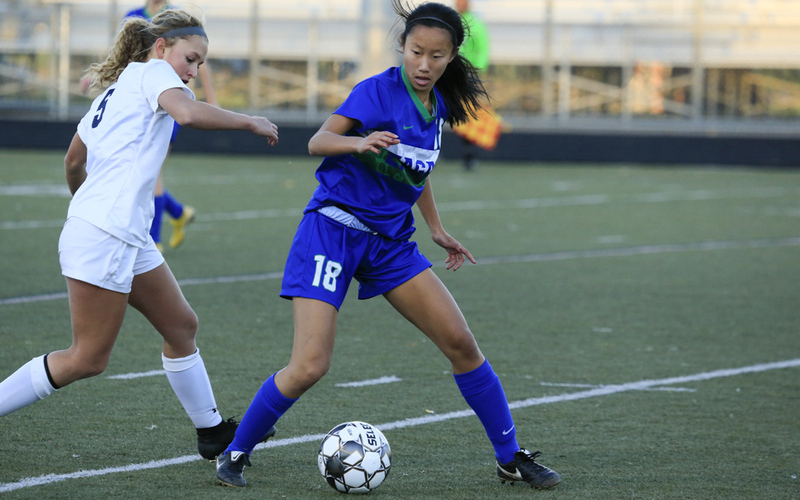 Alison Wong scored twice for the defending Class 2A champion Wildcats, who tallied four goals to avoid another scoreless tie with the Irish and earn their fourth trip to state in the last five seasons. Rosemount was one of two teams to shut out Eagan in the regular season. The Wildcats weren’t about to let that happen in the playoffs. Eagan, the reigning Class 2A state champion and top-ranked team in the coaches' poll, earned a return trip to the state tournament by defeating Rosemount 4-1 Tuesday in the Section 3 championship at Burnsville High School. Alison Wong scored twice for the Wildcats. 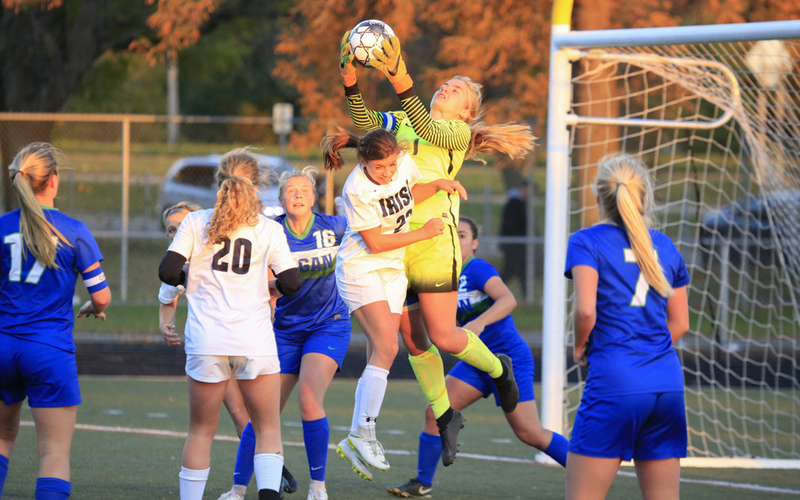 Eagan and Rosemount played to a 0-0 tie in their South Suburban Conference contest on Sept. 6, and the result helped the Tigers take the league title by one point. The Wildcats (16-0-3) entered the playoff matchup with plenty of motivation and dominated possession early, scoring two goals midway through the first half to take control of the match. Eagan's goals came less than a minute and a half apart, including Wong's first goal, which opened the scoring. The senior midfielder got an open look from the top of the penalty area, putting a low shot into the left corner for a 1-0 lead in the 20th minute. In the 21st minute, Jessica Van Wyk scored on a free kick from 40 yards out that stayed up in the wind and just went over Rosemount goalkeeper Danielle Kniefel. Rosemount (13-4-2) couldn’t maintain enough possession to threaten much offensively. Irish sophomore Kenzie Jacobson put away a second effort on a loose ball in the box in the 45th minute to make the score 2-1. Eagan, however, responded in the 56th minute on a goal by Julia Barger, assisted by Jacie Borman. Wong scored again in the 70th to make the deficit three goals. Kniefel made seven saves, while Eagan’s Megan Plaschko, a Ms. Soccer finalist, had two saves. Eagan secured a state bid for the second straight year and fourth time in the last five seasons — the Wildcats won the title each of their last three appearances. 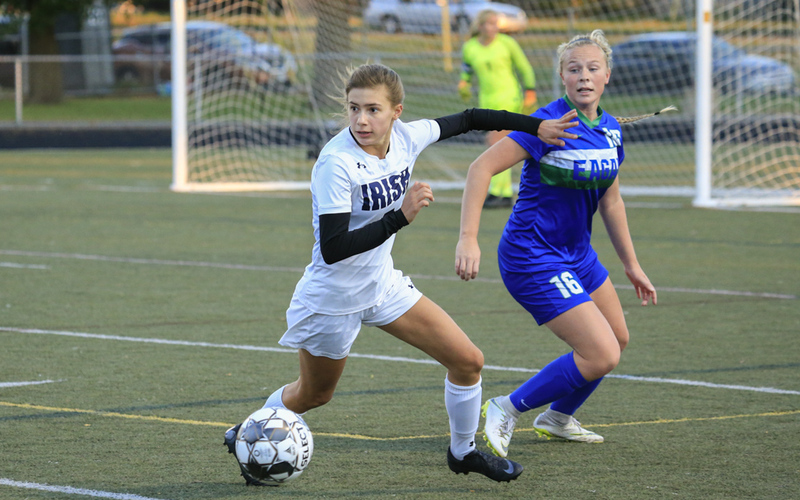 It was the third straight section final matchup between Eagan and Rosemount — the Irish won 2-1 in 2016 and Eagan won 2-1 in 2017. The MN Soccer Hub polls are for entertainment purposes only. A goal by Spencer Scott off a corner kick gave the Ponies a 2-1 victory over top-seeded Duluth East. A first-half goal from Riley Brackin held up as the fifth-ranked Skippers overcame two previous shutout losses to the No. 2 Trojans.